This guide has been compiled with visual observers in mind. The observing prospects will be largely similar for imagers using DSLR cameras or video cameras. Imagers may, however, be able to cope better with moonlit conditions. In 2015, Quadrantid maximum was badly affected by moonlight, but the main summer and autumn showers, including the Perseids, Orionids and Geminids, were more favourably timed. 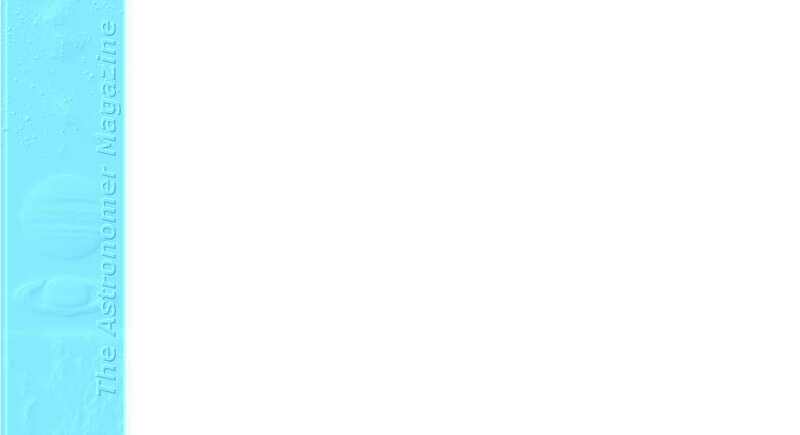 The news for 2016 is rather mixed. Post midnight skies will be moon-free for Perseid maximum, but moonlight will be a serious problem for the Lyrids, Orionids, Leonids and Geminids. After the Quadrantids of January, night time meteor rates are rather low for northern hemisphere observers. However, from mid February to early May there are a number of minor showers with radiants close to the ecliptic. 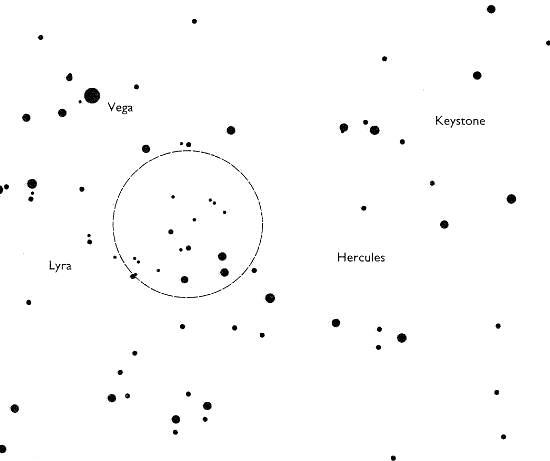 Older sources collectively refer to these as the Virginids, whilst more recently lists treat them (and later showers such as the Capricornids and Piscids) as being part of an "Antihelion source" that is assumed to be active throughout the year from an area of sky located about 180 degrees from the Sun. Minor showers historically grouped together as the "Virginids" included the Delta Leonids (max Feb 26), the Alpha Virginids (max Apr 11-12) and the Gamma Virginids (max Apr 14). Peak rates from this collection of minor showers generally occur in early April. New Moon in 2016 occurs on March 9, April 7 and May 6. Chart. Lyrid activity can be seen from Apr 18-25 each year. For observers at northern latitudes, the Lyrid radiant is above the horizon all night. As for many of the major meteor showers, observed rates pick up as the radiant altitude increases during the night, so meteor watches after midnight are the most productive. The Lyrids are the main night time meteor shower of the spring months for northern hemisphere observers. Although they don't usually produce observed rates comparable with major showers that occur later in the year, the Lyrids do stand out relative to the low background activity of the spring months. Some intense but brief Lyrid outbursts have occasionally been seen, such as in 1982. The best Lyrid rates will occur during the night of April 21-22. Bad news, however, is that Lyrid maximum in 2016 coincides with Full Moon and this will seriously affect observed meteor rates. This shower, resulting from the Earth's post-perihelion encounter with the meteoroid stream of comet Halley, is active from late April to mid May and produces higher peak ZHR values than do the Lyrids. However, while easy to observe from the southern hemisphere and from the tropics, for observers in northern Europe dawn is approaching before the radiant reaches a reasonable altitude. Thus, in most years, observers at northern latitudes can only expect low observed rates. In 2013 enhanced Eta Aquarid rates were seen due to the Earth encountering a number of meteor trails from 8-11 centuries ago. Some UK based observers who had never before seen an Eta Aquarid saw several in 2013. Normal rates were seen in 2014 and 2015 and there are no predictions of enhancements for 2016 (although it should be remembered that the 2013 enhancement prediction was only issued a few days before the peak). In 2016, the Eta Aquarid peak occurs close to New Moon and therefore moonlight will not hinder observations during nights around this date. The Eta Aquarid radiant is in northern Aquarius, at RA 22h20m, Dec -01. For observers at northern latitudes the Eta Aquarids are almost a daytime-only shower. Several other meteor showers during May and June are even less well placed for night time observation. These latter showers have radiants that are only above the horizon during daylight hours (although in a few cases, some activity may be detectable late in the night by observers in tropical latitudes). Consequently observation of these showers is limited to radio methods. ZHR level and radiant location information for these showers is often poorly known, but the most active appear to be the May Arietids (max May 16), the Omicron Cetids (max May 20), the Arietids (max Jun 7), the Zeta Perseids (max Jun 9) and the Beta Taurids (max Jun 28). June Bootids max Jun 23-24? This shower produced an unexpected outburst in 1998, with a broad peak during June 27-28. Another outburst was seen on 2004 June 23. Although several outbursts from this shower were seen in the early 20th century, these latest outbursts were unexpected as the Earth now passes some distance from the orbit of the particles which produced the earlier outbursts. The parent comet 7P/Pons-Winnecke was at perihelion on 2008 Sep 26, but there is no evidence that recent outbursts have been related to the position of the comet. It is worthwhile monitoring this shower's activity however in case further outbursts occur. There is some uncertainty as to the current location of the shower radiant, with recent reports merely describing the activity as originating from "northern Bootes". In 2016, Full Moon occurs on June 20 and Last Quarter is on June 27. For observers at the latitude of the UK, however, the June Full Moon is rather low in the sky and has limited impact. The all-night twilight tends to be a bigger problem for observers at these more northerly latitudes. Night-time sporadic activity picks up in July. New Moon in 2016 occurs on July 4, with Full Moon occurring on July 19. Chart. This group of showers includes the Delta Aquarids-S (max July 29), the Alpha Capricornids (max Aug 1), the Delta Aquarids-N (max Aug 5-9) and the Iota Aquarids-S (max Aug 6-7). Other than for the Delta Aquarids-S, the peak ZHRs are all below 10 per hour. The Alpha Capricornids have been noted for producing a number of slow moving flaring fireballs. 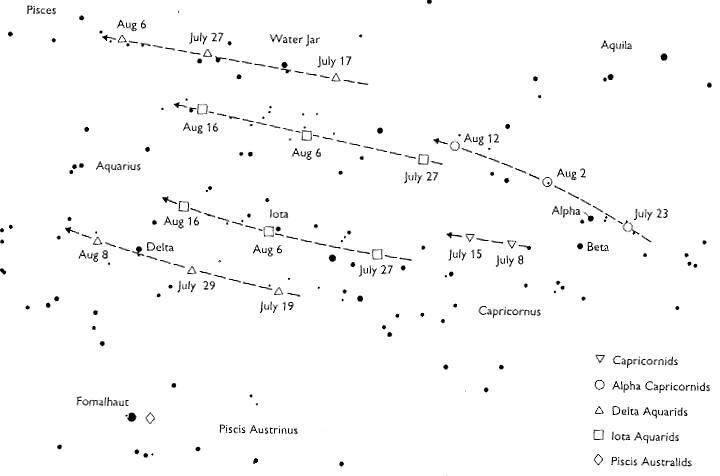 Rather confusingly some sources refer to the Alpha Capricornids as the Capricornids, whilst others use the term Capricornids to describe a minor shower peaking around July 25 ! The proximity of the radiants to each other, together with their motion from night to night, means that visual observers must take great care to distinguish between the individual showers. For this reason, the above showers, with the exception of the Delta Aquarid-S and Alpha Capricornids, are often now merely grouped together as part of the "Summer Antihelion Source". Despite not producing peak rates as high as those of the Geminids, the Perseid meteor shower remains the favourite for most observers. This is because, in addition to being rich in bright and trained meteors, it also occurs during summer in the northern hemisphere as opposed to the cold nights of December for the Geminids. Perseid activity can be seen from the last ten days of July through to the third week of August. The highest observed rates on any given night are likely to be seen when the radiant is highest in the sky late in the night. In some years, when the Earth encounters dust trails from old returns of the parent comet, there can be more than one Perseid peak. In addition, there is good evidence for a 12 year periodicity in Perseid rates,with 1968, 1980, 1992 and 2004 having produced well above average ZHRs, due to perturbations of the meteor stream by Jupiter. 2016 is, obviously, the next year in this sequence. Mikhail Maslov and Esko Lyytinen predict that in 2016 we will cross a part of the stream which was shifted closer to the Earths orbit by Jupiter. As a consequence, the background ZHR may reach a level of 150160. At 22h34m UT on Aug 11, the Earth should encounter small meteoroids of the 1-revolution trail and this may lead to an increase in the ZHR by about 10. At 23m23m UT brighter meteors of the 4-revolution trail are expected. Calculations by Jeremie Vaubaillon, indicate that the densest part of the stream dominated by meteoroids of the 2-revolution trail will be crossed on Aug 12 between 00h to 04h UT, well before the broad nodal maximum. For UK based observers, the normal nodal maximum should produce the best rates late in the night of Aug 11-12 (Thu-Fri), although good rates should also be seen during Aug 10-11 and during Aug 12-13. The possible extra peaks would be during the night of Aug 11-12 and be superimposed on the normal Perseid activity curve. The Moon passes through First Quarter on August 10. From the latitude of the UK, however, the Moon's advance into the night sky is slow at this time of the year and on the night of Aug 11-12 it will located in northern Scorpius and will be setting before midnight UT, leaving the second half of the night moon-free. 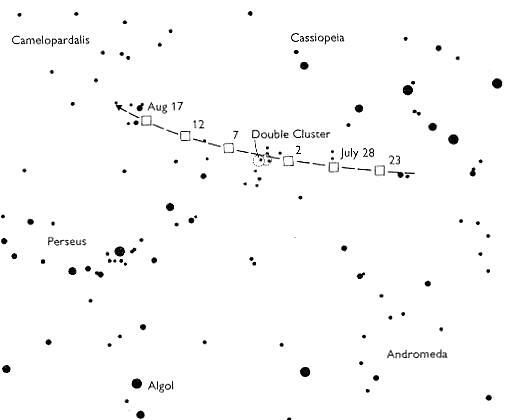 With New Moon occurring on August 2, observations of the early Perseids in late July and in the first week of August will suffer little moonlight interference. Sporadic activity is quite high in August and numerous minor showers have been reported as being active. Many of them are probably spurious, with some of their supposed members being misidentified Perseids and late members of the Aquarid/Capricornid complex. The more reliable showers include the Alpha Aurigids, which reach maximum late in the month (radiant RA 04h56m , Dec +43), and the Kappa Cygnids which reach maximum on Aug 18 (radiant 19h05m, +59) and often produce fireballs. Some sources also list an Iota Aquarid-N maximum on Aug 20 and a second Kappa Cygnid maximum on Aug 26. Full Moon in 2016 occurs on August 18 - which is bad news for observations near the main Kappa Cygnid maximum. Last Quarter occurs on Aug 25, followed by New Moon on Sep 1, the timing of New Moon being good news for observations near Alpha Aurigid maximum. New Moon in 2016 occurs on Sep 1 and Oct 1, with Full Moon occurring on Sep 16. 21P/Giacobini-Zinner, the parent comet of this shower, passed through perihelion in Feb 2012. Observations of the Earths closest passage to the comet's orbit at around Oct 8 2011 was seriously impacted by a bright Moon, but a short lived outburst to a ZHR of 250-300 was seen. High Draconid rates were not expected in 2012. Some radio and radar observations did indicate however that a significant outburst occurred at around 16h-17h UT on Oct 8. The extent to which the shower produced a visual display is unclear due to the poor observing conditions for the visual observers who were active at that time. It was suggested that the visual ZHR may have exceeded 100, but this was very uncertain. Nothing exceptional was reported in 2013, 2014 or 2015 - but it would be worthwhile watching out for activity just in case. 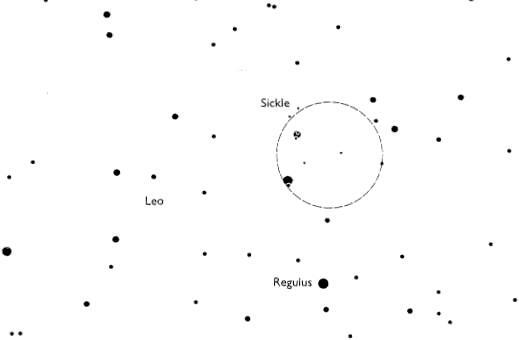 The radiant, at RA 17h23m, Dec +57, lies near the head of Draco and is quite high in the sky for observers at northern latitudes at the start of the night. Draconid meteors are relatively slow moving - a feature which helps differentiate them from any sporadic meteors that might by chance line up with the radiant. First Quarter Moon in 2016 occurs on Oct 9. On Oct 8, the 47% illuminated Moon (in Sagittarius) will set at around 22h UT for observers in the UK. Although there is low level Orionid activity from the start of the month, Orionid activity only becomes obvious to visual observers from around Oct 14, lasting until the end of the month. A broad maximum occurs between Oct 21 and Oct 23 - however, even within this period there will probably be several peaks and troughs in the activity levels. The Orionids, which are the result of the Earth's pre-perihelion encounter with the meteoroid stream of comet 1P/Halley, sometimes brings surprises such as the unusually high rates seen during the night of 2006 Oct 21-22. There were also enhanced rates in 2008 and 2009. 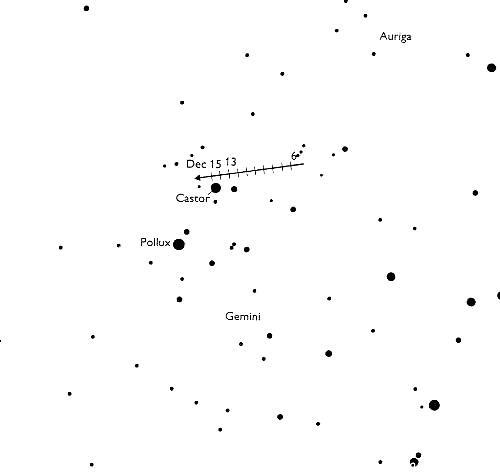 The radiant position at maximum is RA 06h24m , Dec +15 (on the border of Gemini and Orion). 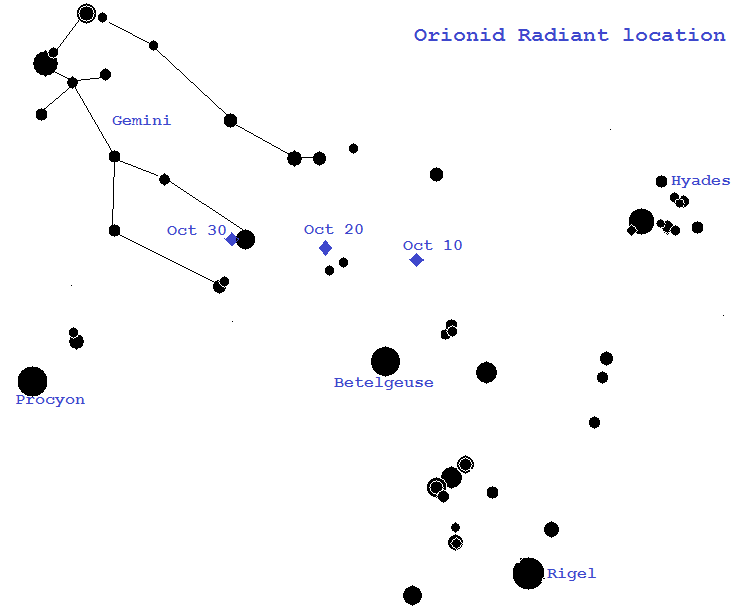 The Orionid radiant does not rise until around 21h UT (10pm BST) and is highest in the sky late in the night. In 2016, the Moon will be Full on Oct 16. Although there is then a moon-free period in the evenings that follow, this primarily benefits the period before the rise of the Orionid radiant. On the night of Oct 21, the 59% illuminated Moon (in Gemini) will rise only about half an hour after the Orionid radiant. The following night offers an extra hour of dark sky before moonrise, but the Moon will once again be high in the sky later in the night. Chart. 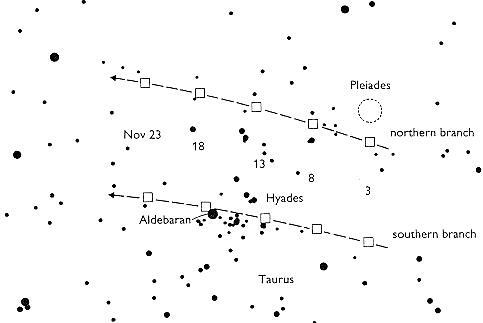 Taurid activity, which is related to the meteor stream of comet 2P/Encke, lasts throughout October and November. Some Taurid activity will be visible during Orionid meteor watches in October and Leonid meteor watches in November. 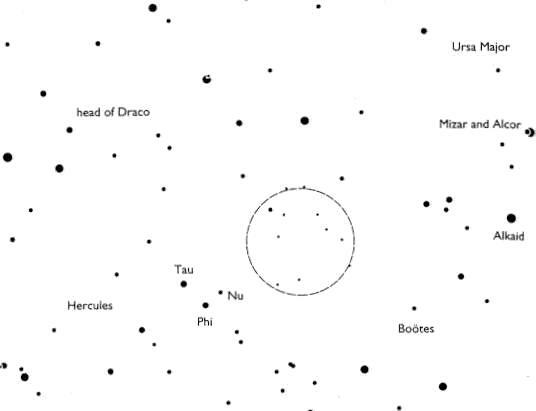 The Taurid radiants are highest in the sky around the middle of the night. Although individual dates of maxima are often quoted for the northern and southern Taurids, the shower does not have sharp peaks in the same sense as seen in showers such as the Perseids or Leonids and it makes more sense to treat the shower as showing a broad maximum from mid October to early November. The southern radiant tends to be the more active during October, whilst the northern radiant is the more active during November. Observed rates are far from spectacular, but some observers report that the shower produces a good percentage of fireballs. Indeed a good number of bright Taurids were reported in 2005 and analyses by David Asher have supported the idea of a Taurid swarm that the Earth encounters every few years. Results from 2008 showed some enhancement in Taurid rates, but few extra fireballs. Results for the moonlit 2012 'swarm' encounter were disappointing, but better rates were reported for the 2015 encounter. With New Moon occurring on Oct 30, the best time to see the 2016 Taurids will probably be during the last week of October and the early days of November. Chart. Leonid activity last from Nov 14-21 each year. The Leonid radiant rises in the late evening and is highest in the sky around dawn. The Leonids produced storm level activity for observers at favoured locations in 1999, 2001 and 2002. Moonlight circumstances are rather unfavourable for the 2016 Leonids. Despite 3 days having elapsed since Full Moon by the night of Leonid maximum, the 84% illuminated Moon (in Gemini) will already be in the sky by the time that the Leonid radiant rises - and will be closer to Leo than it was when Full. Chart. Geminid activity is apparent to visual observers from Dec 7-16, with the best rates likely to be seen during the night of Dec 13-14 (Tue-Wed). The Geminid ZHR is also likely to be quite high during Dec 12-13 (Mon-Tue). The Geminids are the meteor shower that produce the highest reliable rates year on year and only lose out in popularity to the Perseids because December nights tend to be much colder. Results from recent years have shown the peak ZHR to be over 100 and to remain above 70 per hour for about 24 hours - and the shower's profile is evolving from year to year. The Geminids are rich in bright meteors but, being associated with a rocky asteroid 3200 Phaethon rather than an icy comet, produce few trained meteors. There seems to be a tendency for fainter Geminid meteors to peak earlier than brighter meteors. The radiant is highest in the sky at about 02h local time and, for observers at northern temperate latitudes, is above the horizon all night. Moonlight conditions are rather poor for Geminid maximum in 2016, with Full Moon (in Taurus) occurring during the night of Dec 13-14. This will seriously impact observed Geminid rates. However, if you observe with the Moon outside your field of view (and, if possible, in the shade of the Moon), you will probably still see more meteors than you would on most non-shower nights. Chart. Ursid activity lasts from approx Dec 17-25. At maximum, the Ursid radiant is located at RA 14h28m, Dec +78 (fairly close to Beta UMi). The radiant is circumpolar for most northern hemisphere observers and is highest in the sky late in the night. High rates were recorded from this shower in 1945, 1982 ,1986, 2000, 2004, 2006 and 2014. It is suspected that other such peaks may have been missed due to a lack of observations. The Moon is at Last Quarter on Dec 21 and so moonlight will only be an issue post midnight for the 2016 Ursid peak. Chart. 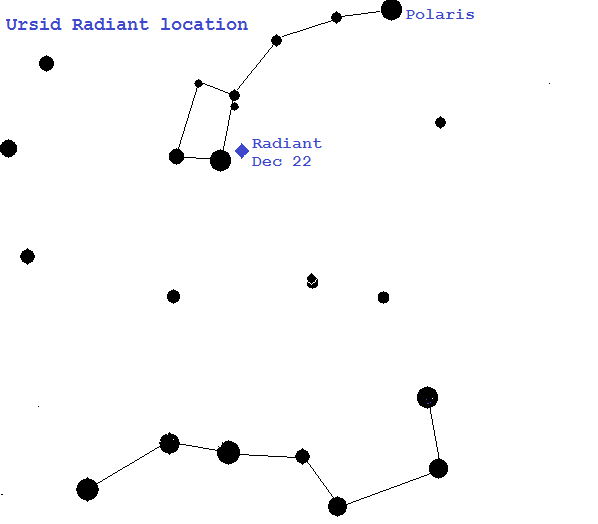 The Quadrantid radiant, lying at Dec +50, in a rather bland area of the sky between Draco, Bootes and Ursa Major, is circumpolar for observers north of latitude 40 N. The radiant is at its lowest altitude at around 20h local time and is highest at the end of the night. Peak rates vary from year to year. The ZHR for the 2012 peak only seemed to reach around 80 whereas the 2009 peak was broader than usual with the ZHR being above 100 for nearly 12 hours. The maximum is usually rather narrow, with the predicted time for 2017 favouring observers in the Pacific and the west of North America. Moonlight will only be a minor problem for the 2017 Quadrantid peak. On the evening of Jan 3rd, the 28% illuminated Crescent Moon will be located near the Aquarius/Pisces border and will set before midnight.